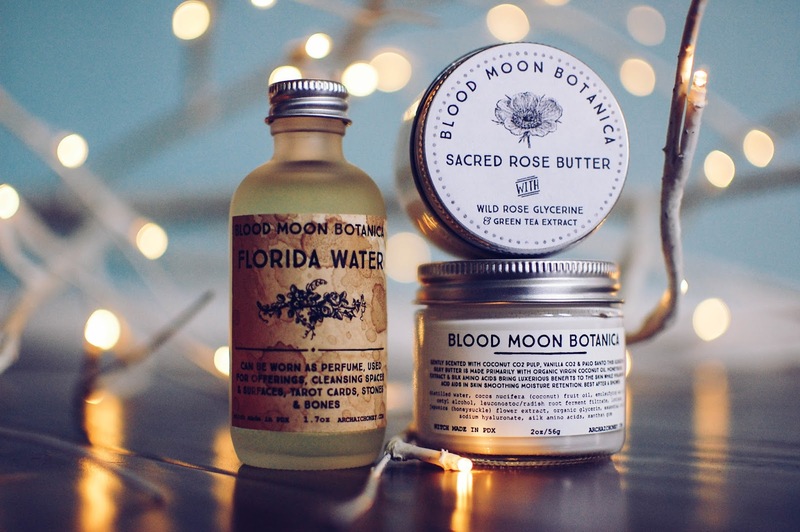 I fell so hard for the Blood Moon Botanica Coconut Silk Butter that I wanted to pick up one more tiny jar along with the rose version and some Florida Water (hello... Florida girl not try the Florida Water? Impossible.) I have reviewed this new off shoot from Britton Boyd, the creator behind Haus of Gloi, in the recent past. 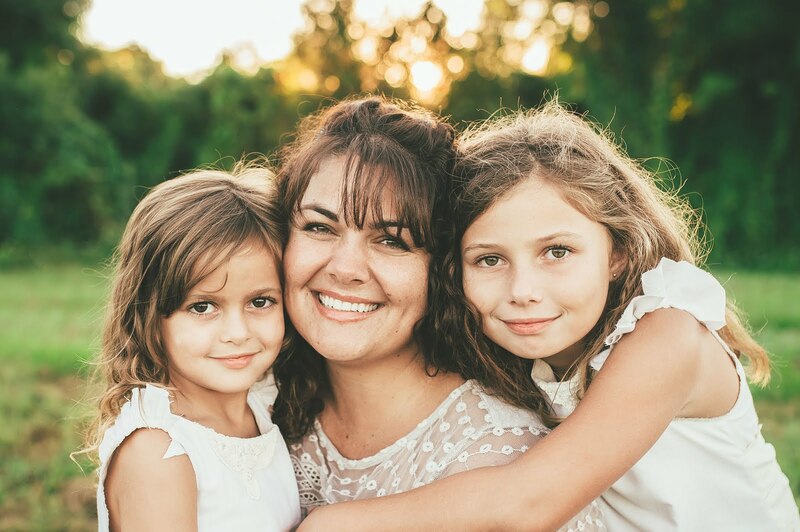 Britton sent out a newsletter this week letting her customers know she was doing one last restock before packing everything away to focus on her extended hike along the Pacific coast. She added some new oils and products and knowing that this isn't a large volume operation just yet, I did hop over and place a third order because she is not slated to re-open until early 2018. Normally, I probably would not bother reviewing products you cannot actually purchase any time soon. 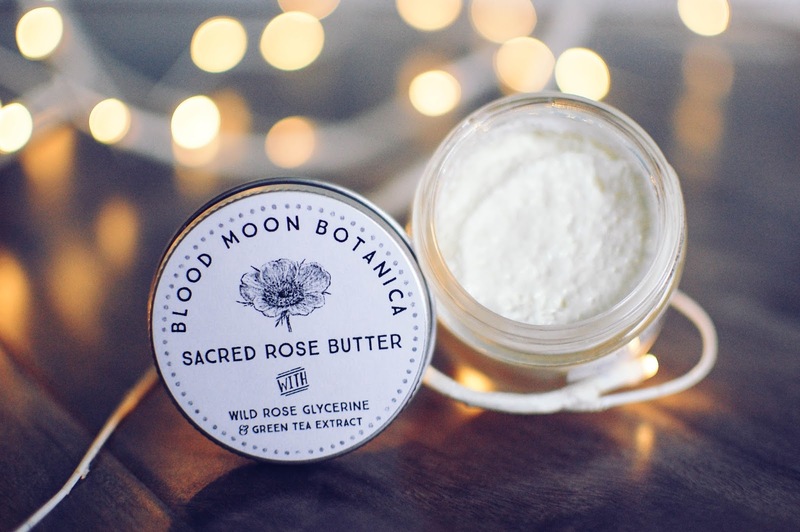 But I am honestly so blown away by these Blood Moon Botanica offerings that I want you to be informed for when she does return and start production again. Sign up for her newsletter to stay in the know. It is located at the very bottom of this web page. I did pick up a second small 2 ounce jar of the Coconut Silk Butter as I have been heavily using my first jar. The scent is seriously intoxicating. I figured I couldn't go wrong with her Sacred Rose Butter and I was correct. Don't let the rose scare you away from this one. 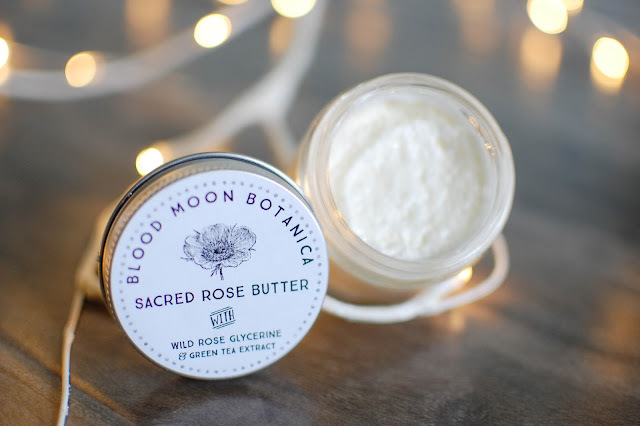 My nose detects copious amounts of airy cedarwood threaded through with delicate sweet rose to create a unique scent that is more woody than rosy and is stunningly gorgeous. I had an extra jar of this in my third purchase but it hopped out (along with the larger jar of Coconut Silk). 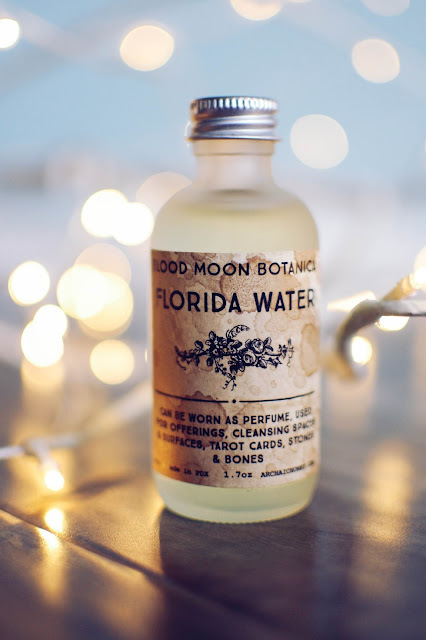 Britton crafts her own Florida Water over the span of three days around the full moon using silver, quartz and hagstone and sets it in the light of the moon overnight. There were two full moons to choose from, a Full Aries Moon or the Full Pisces Moon that had an eclipse. I chose the eclipse one. It has many uses but I bought it for wearing as a light cologne during the summer or splashing in my bath water. It is composed of various high quality essential oils and absolutes in a base of rose water and high proof alcohol. 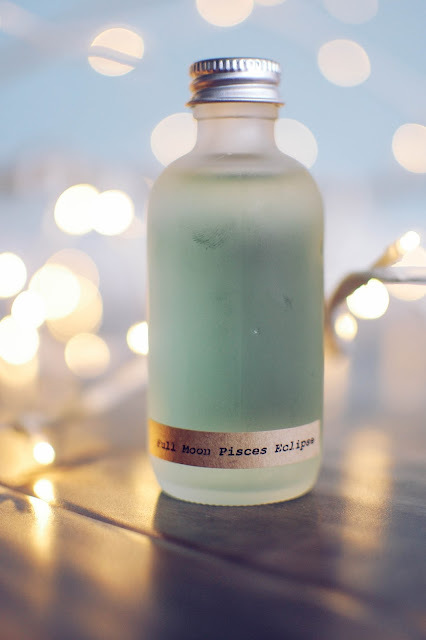 It smells like slightly bitter yet translucent neroli and green orange blossoms, crushed blades of grass and rays of warm sunshine filtered through moonshine, as it dries on the skin the moonshine spirits flutter away and a gingered orange breeze wafts in. Don't expect this to have any staying power. It is more for freshness and an anti-perfume type of fragrance if used as that. The frosted bottle and hand stained label and branding takes my breath away. I love the vintage high quality feel. I did pick up both lip balms, the cedarwood oil, blessing oil and coconut silk oil in this last order. I will probably go ahead and review those too. Thanks! It IS enticing!! I am really loving the quality and small scale craftsmanship and big love that Britton puts into this line. I have not tried any other type of Florida Water. I have a couple of 4711 minis I picked up at an antique store. I enjoy it. I have a Trader Joe's in Orlando and one in Tampa that I swing by when I can. I will pick up their coconut body butter next time I am there. Thank you for recommending it! Is it unscented? This Sunday morning has dawned cool and lazy and I am loving it. Still sitting in my pj's and drinking coffee. How is yours? How have you been? It is not unscented - it is the most delicious coconut scent that smell nothing like sunscreen. I can layer it under any perfume, it just makes it better! I have been in my PJ's often. I have a broken foot and am unable to drive. I really hate having to rely on other people to take me places! Besides being a shut in, every other aspect of my life is great. Happy for that!